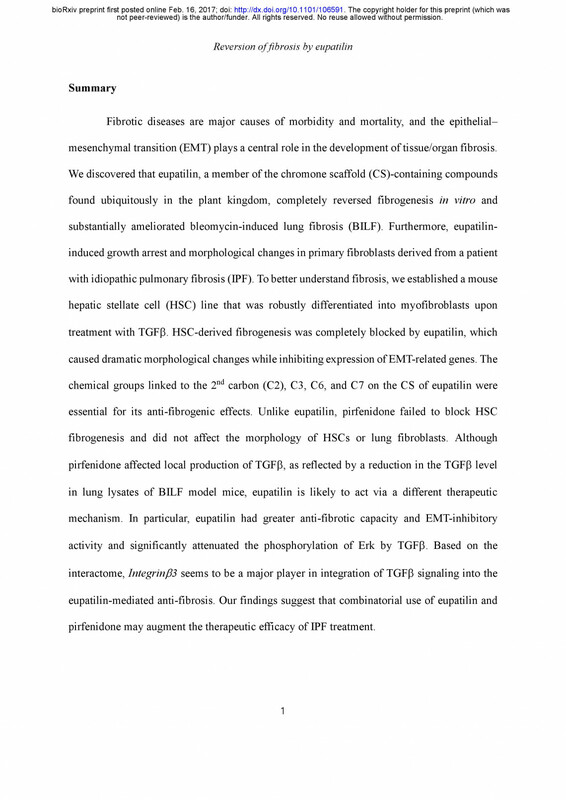 The paper on the anti-fibrosis efficacy of Chromon derivatives(ONG21001). 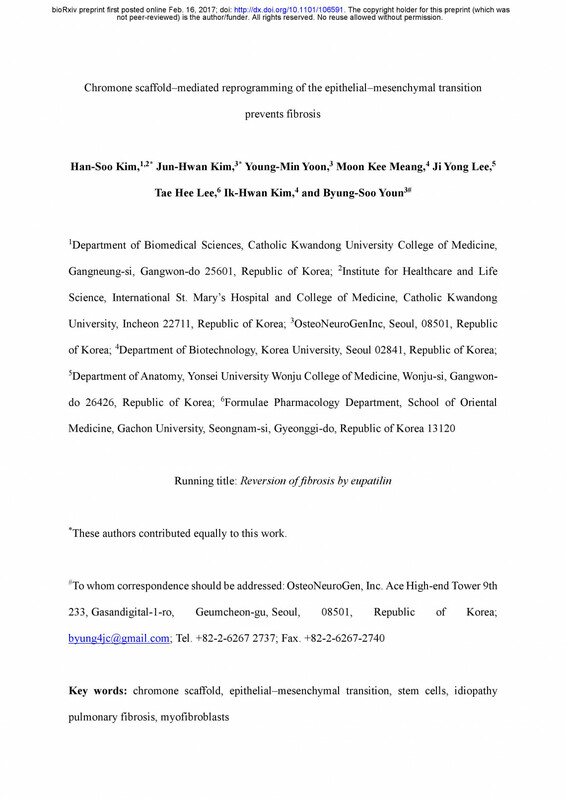 It is published on bioRxiv which is online pre-print journal. Please, use the below link for the full pdf.